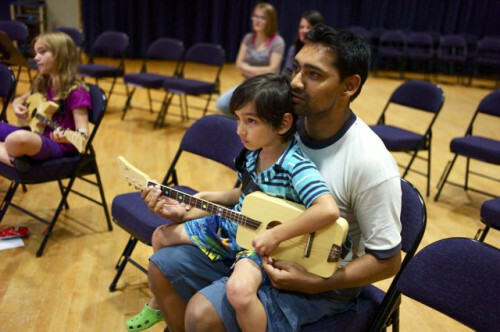 Remember David Mills, our favorite guitar teacher from the Neighborhood Music School in New Haven, CT? 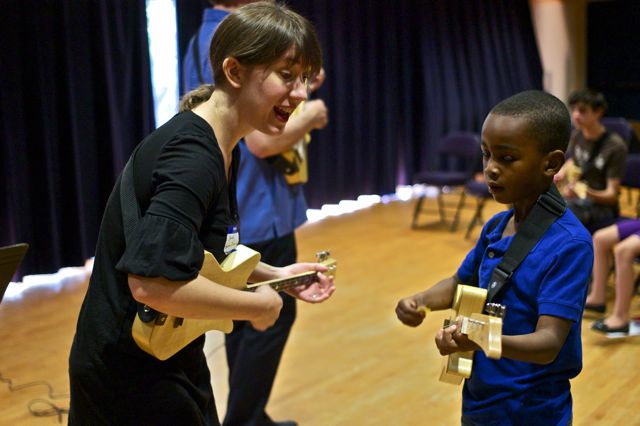 Well, he recently sent us these pics from the school’s Open House, a regular event at the start of each semester, where students can try out various instruments and dance classes before making a choice on what to study. 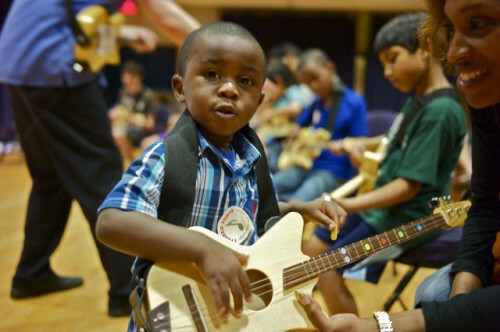 In these photos students are trying our 3-string Loog Guitars, which are used in a DoSo Music class where children (ages 7-11) learn music fundamentals by singing and strumming songs from around the world. Aren’t they awesome? So glad so many kids loved the Loog during this Open House and so cool of David to share this moment with us! Neighborhood Music School is one of the oldest and largest community art schools in the United States providing music lessons for 3,000 students each year. This is a huge deal and we’re honored to be a part of it. Thanks, David!